Fat deposits on the body could cause discomfort and insecurity; in addition, they often entail malfunctions of various systems and organs. Thus, excess fat in the underarm area can cause hyperhidrosis - a disease that manifests itself by excess sweating. It can be cured with the help of plastic surgery. What is liposuction of armpits? It is the operation, which is carried out at for armpits correction and removal of superfluous fat. A feature of this method is the possibility to eliminate the aesthetic defect (folds of fat) and solve the problem of sweating. Liposuction was originally invented to remove excess fat in different parts of the body. However, during use of the method it was determined that sweat glands located in the subcutaneous fat layer are removed with the fat cells as well. The method helps to solve the problem of hyperhidrosis of the armpits and prevent it from happening in the future. This procedure is carried out for medical reasons. Liposuction is conducted if the hyperhidrosis appears locally (only in the underarm area) and is not amenable to treatment with a variety of therapeutic methods. diseases of the skin in the forearm area. These effects can be avoided, if you turn to experienced professionals. 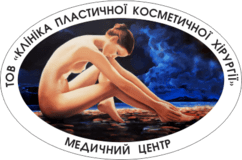 Only qualified doctors work in "Poltava Clinic of Plastic Surgery", who complies with all rules and regulations in the course of the various manipulations. First you need to see a specialist for consultation. The doctor will send you to perform the tests and will tell you how much underarm correction costs and what is included in the cost. The price may vary for each case. Liposuction is being performed if the health condition meets all indicators. The doctor uses local anesthesia, makes a small incision in the skin and enters the metal tubes through them. Ultrasound destroys the fat cells while it is acting under the skin. They are removed by means of vacuum. You should be careful regarding your own feelings and well-being for 5-7 weeks after surgery. Rehabilitation involves wearing special bandages, abandon of the sports, as well as the organization of specific care of the armpits. In case of the first signs of deterioration during the period of rehabilitation you should consult a doctor. What results can be achieved with the help of ultrasonic liposuction? The method makes it possible to eliminate the problem of hyperhidrosis in approximately 70%. However, it is necessary to change the way of life, the principles of nutrition and physical activity regimen for long-term effect. You may familiarize yourself with the stories of our patients by looking at the reviews and photos before and after the manipulation. We solve the problem of excessive sweating of the armpits quickly, efficiently and safely. The experience and professionalism of our doctors will help to achieve this. You can find the clinic’s services and their cost on our website. In order to determine the exact price and aspects of the method application we suggest that you make an appointment with the surgeon.